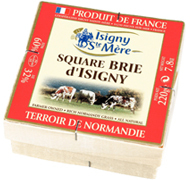 This Isigny Ste-Mère Brie is a soft cheese with a mould rind which is left to drain slowly, on its own. 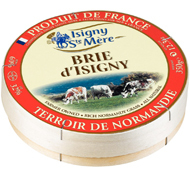 It is a close cousin to the Brie de Meaux and the Brie de Melun, that is to say that it is a very refined cheese.It has a soft and creamy heart, with a slightly salty taste. Its velvety white rind is the result of being seeded with penicillium candidum. As with all our products, our Brie is made exclusively from the best Normandy milks, which are distinguishable by their exceptional richness in cream, proteins and vitamins. These milks are collected every 48 hours then brought to our reception tanks, where they undergo the first of a series of tests to ensure that they reach our required quality standards. 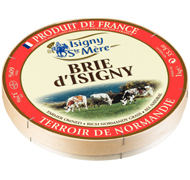 The Isigny Ste-Mère Brie is an half lactic, half stabilize Brie using a traditional process in terms of technology. The milk is seeded with lactic starter cultures and matures before being moulded. Once drained, the cheeses are removed from their moulds and dry-salted before being held in a ripening room: the hâloir. They will then ripen on wood shelves, where they spend at least seven days. 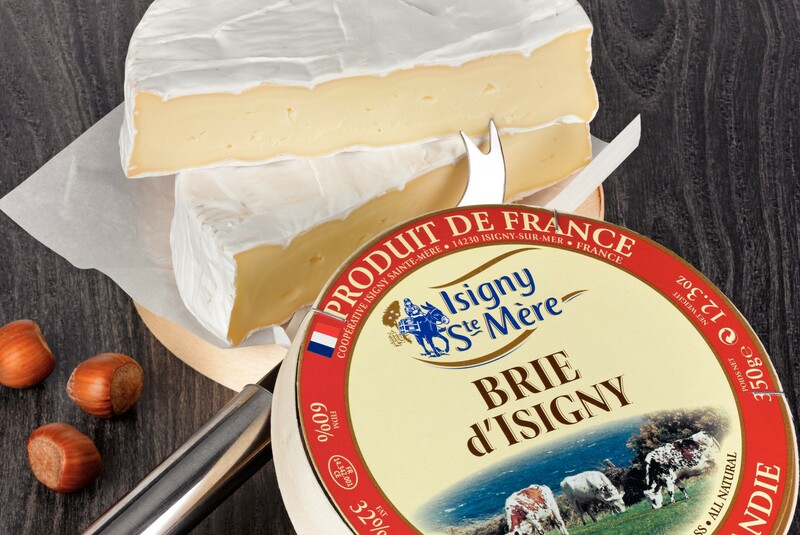 By using this traditional process, our Isigny Ste-Mère Brie matures from the rind to the heart of the cheese, like a Normandy Camembert, which makes it different from a stabilize Brie allowing the cheese to be more flavorful.